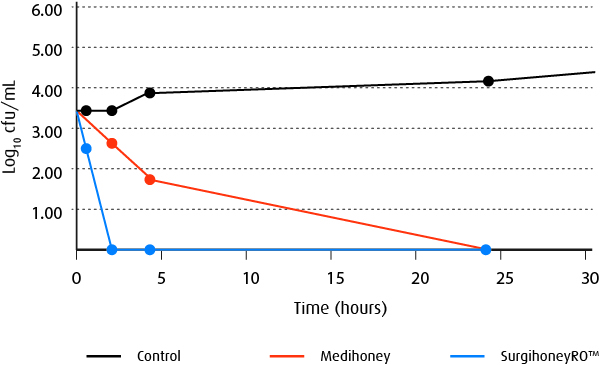 SurgihoneyROTM offers the natural wound healing properties of honey with the potent antimicrobial action of the engineered product. 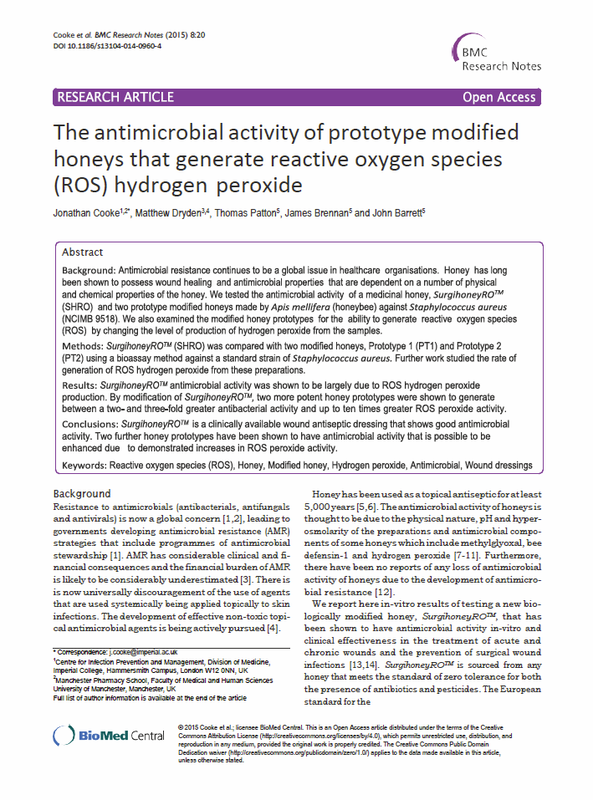 The term ROS applies to highly reactive oxygen radicals, including hydrogen peroxide H2O2. 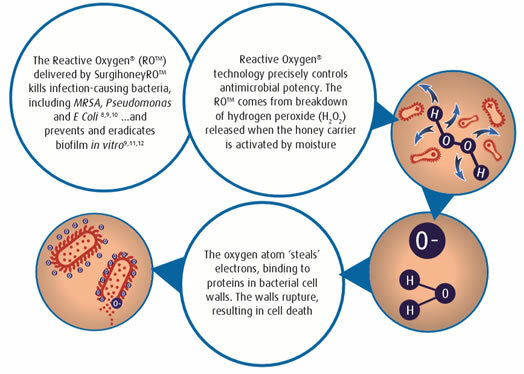 Hydrogen peroxide is unstable and rapidly breaks down to H20 and O- ROS appears to kill bacteria by disrupting the cell structures including DNA and cell membranes. (13,15,26)It possesses concentration dependent activity and toxicity. 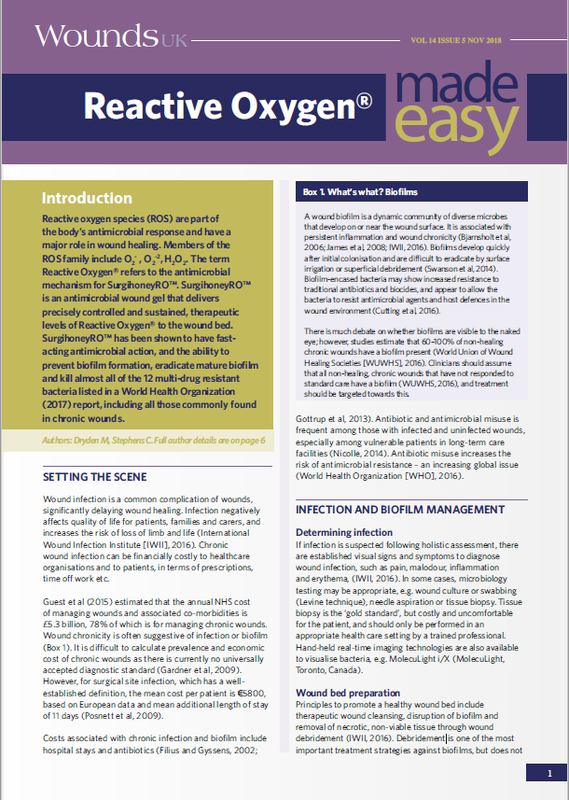 While hydrogen peroxide is a common disinfectant due to its bacteria-killing properties, it can damage human tissue at higher concentrations and the duration of its activity is too short to be of use as a therapeutic agent. 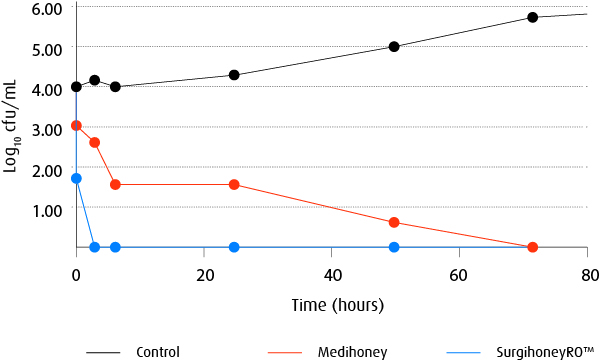 By contrast, SurgihoneyROTM gel releases low levels of ROS to the infection site for a sustained period rather than a large amount at the time of dressing. (6,13) It can destroy the most deadly drug-resistant bacteria and is safe to use on healing tissue. 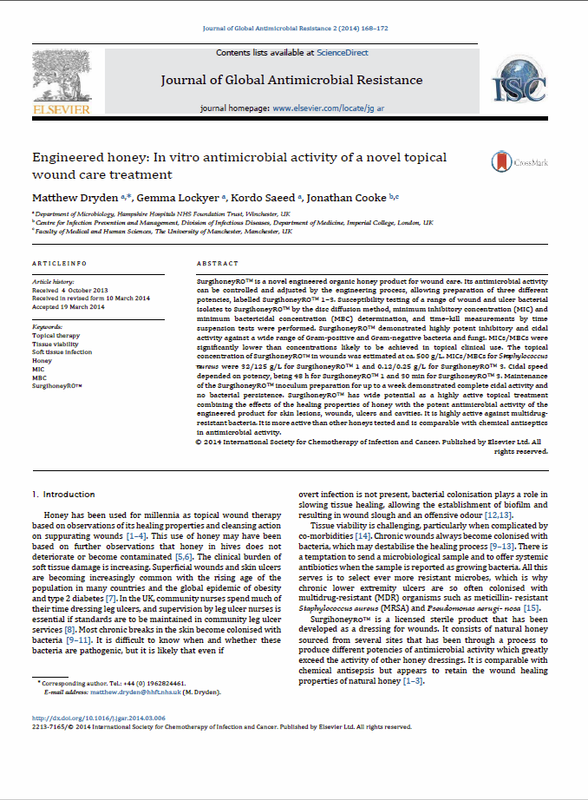 Figure : Confocal scanning laser microscopy images of MRSA untreated and so live (green). Following treatment with SurgihoneyROTMa significant portion of the population have been killed (red). 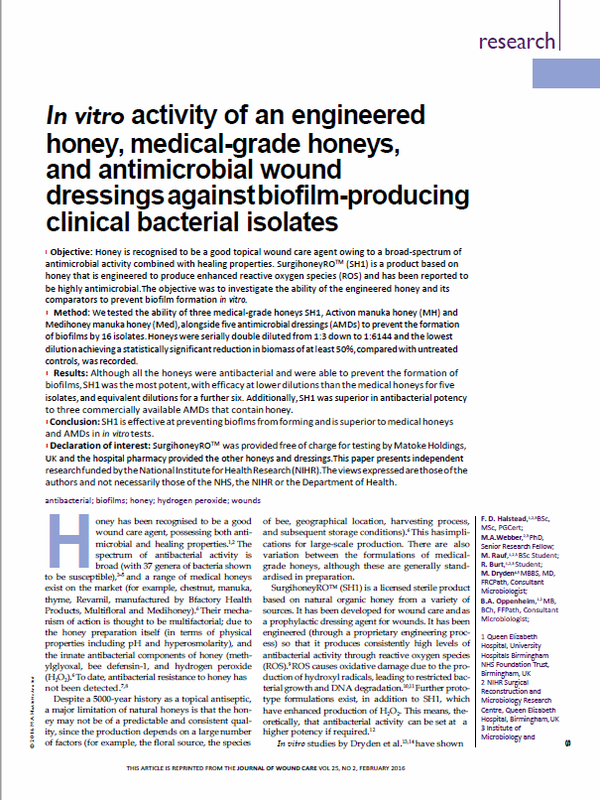 The Halstead study found SurgihoneyROTM could prevent biofilm for all 16 bacteria tested, both Gram-positive and Gram-negative, including several major drug-resistant strains: MRSA, E.coli and Pseudomonas aeruginosa, Acinetobacter baumanni and CRE Klebsiella pneumonia. 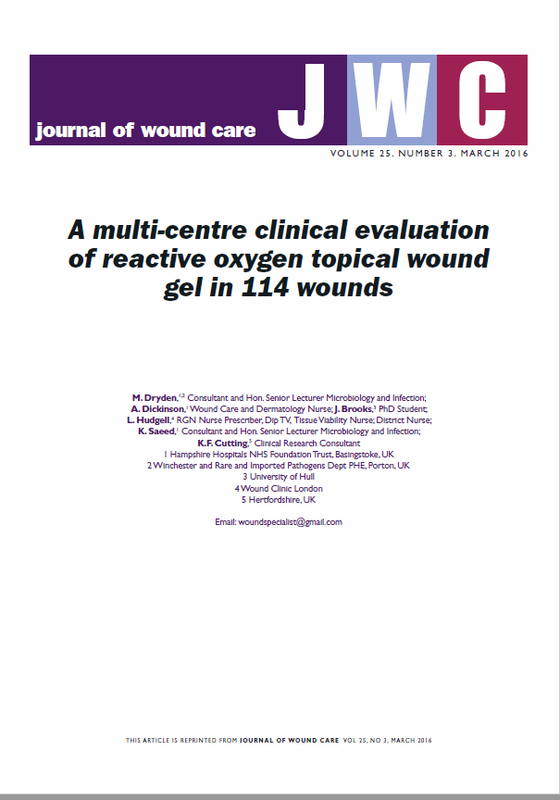 Globally, an ageing population alongside a rise in long-term conditions, such as diabetes and obesity, are creating greater demands for wound care management. 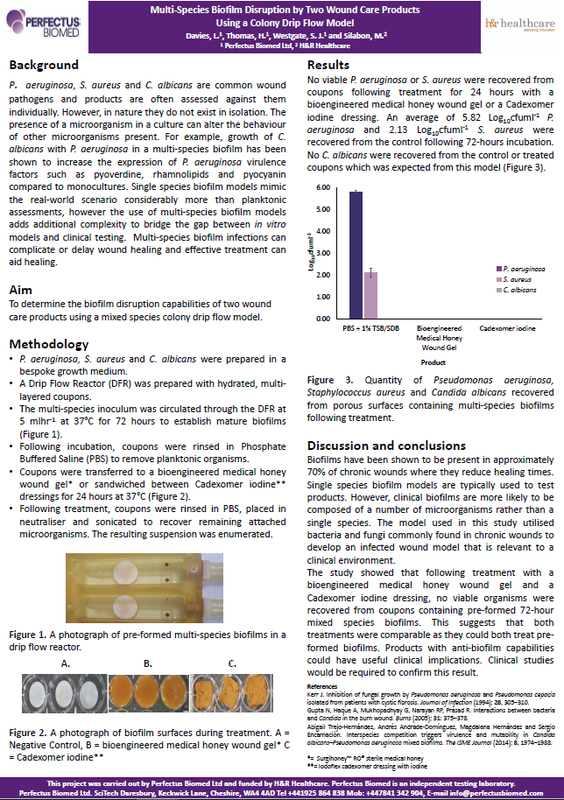 In a multi-centre clinical evaluation, SurgihoneyROTM was observed to help a wide range of wounds progress toward healing (16) Read the paper. 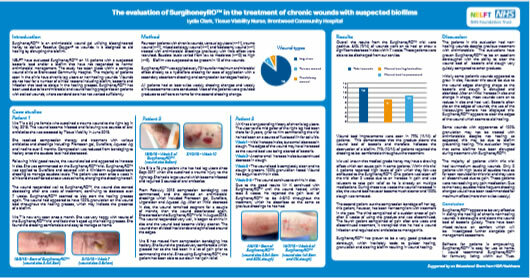 The study involved patients with 114 non-healing wounds from both developed and undeveloped countries. 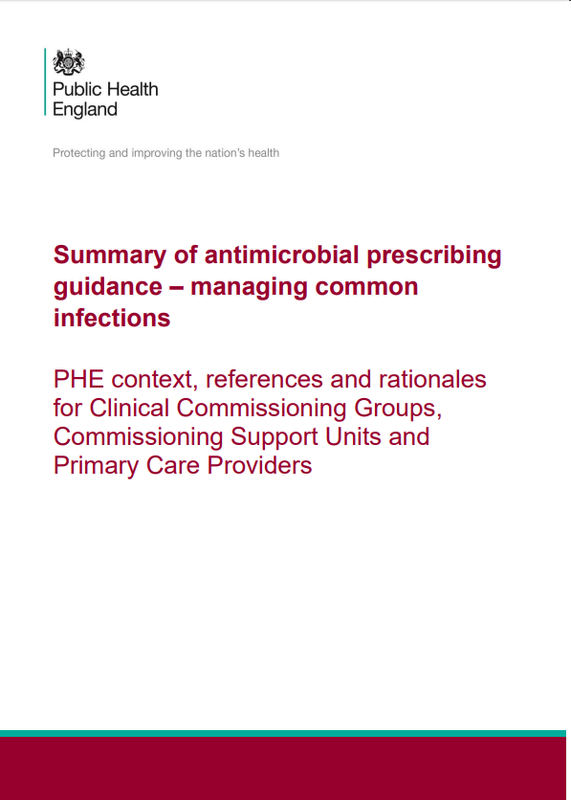 They included 33 patients with leg ulcers, 20 with traumatic wounds, 18 with pressure ulcers, 14 with surgical wounds and five with diabetic ulcers. 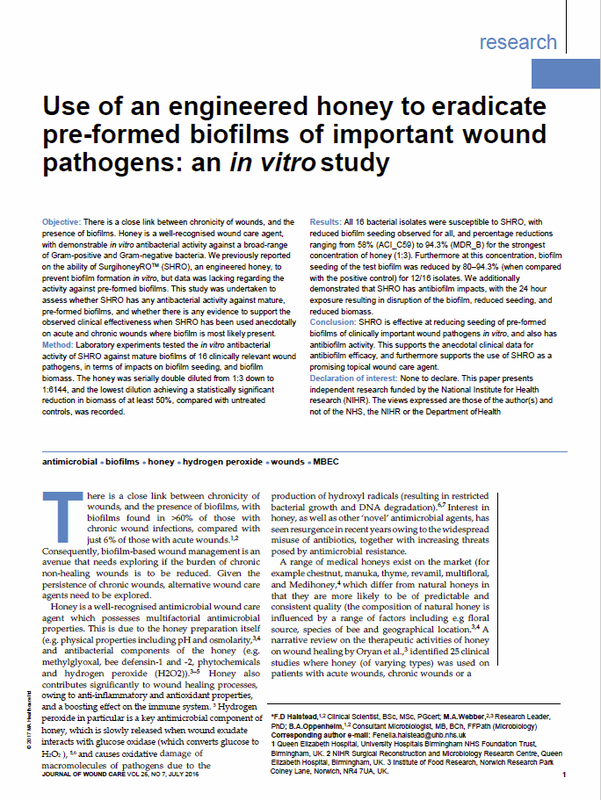 Wounds were treated with SurgihoneyROTM gel. Some 21 per cent healed and 79 per cent improved in the study period. 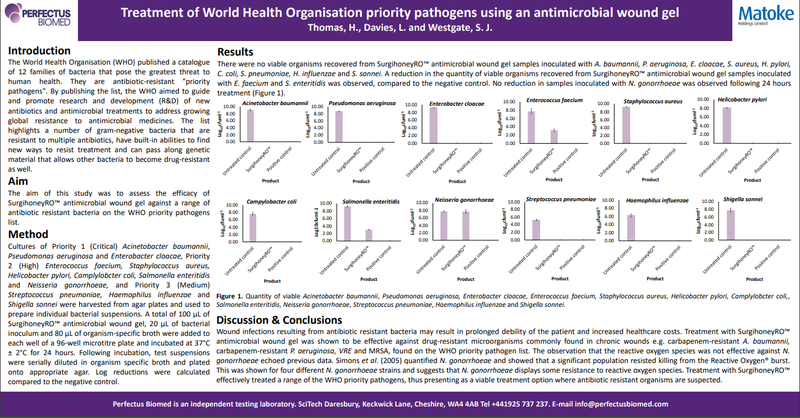 Improvements included a reduction in wound pain, exudate, dead tissue, inflammation and bacterial load. 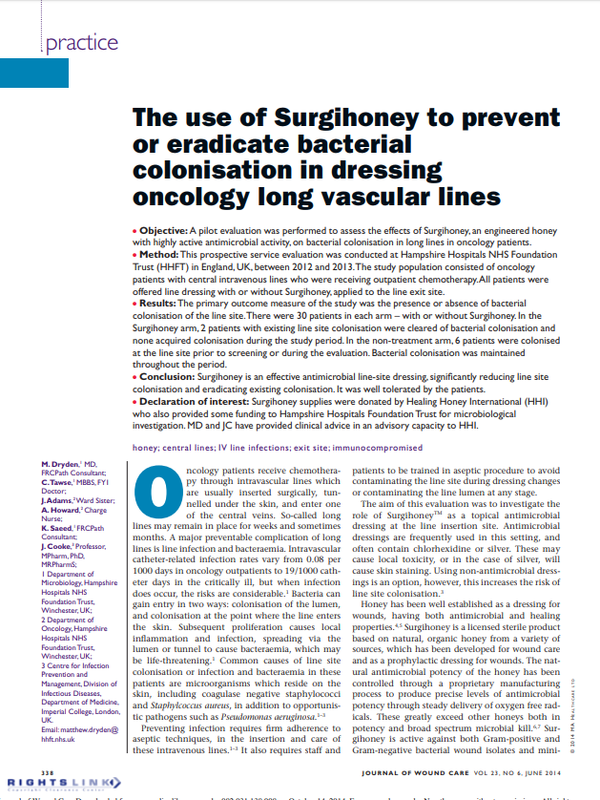 In addition to its therapeutic role, there is a growing body of evidence demonstrating SurgihoneyROTM can play an important part in surgical prophylaxis and infection prevention. 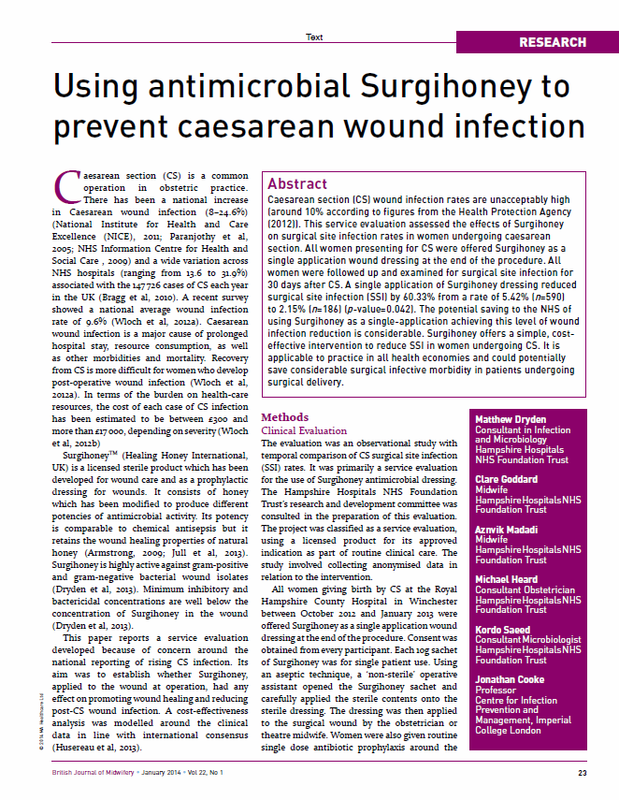 Surgical site infections (SSI) can double the length of hospital stay, significantly increase healthcare costs and reduce quality of life. 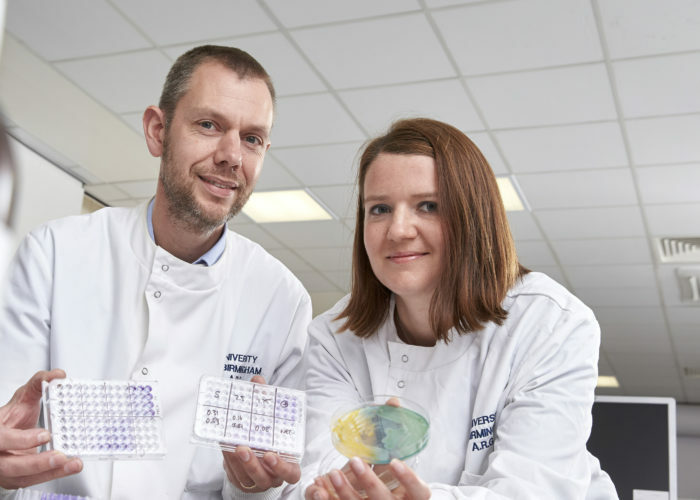 Two further clinical evaluations of its use in the prevention of surgical wound infections are underway, including one at University College London Hospital.